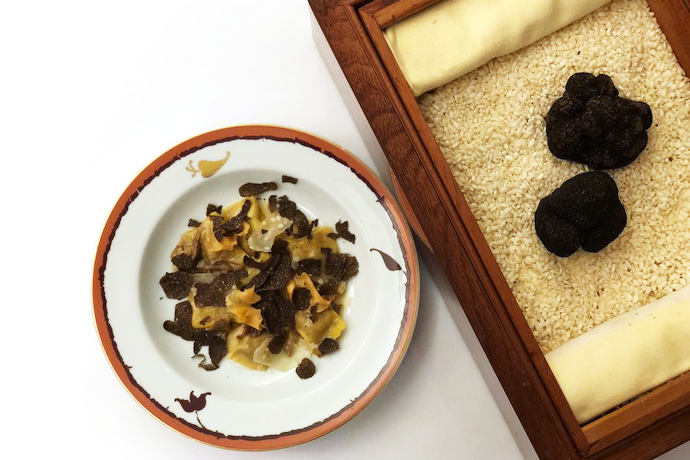 As we near the end of black truffle season (and what a beautiful season it was), Chef Travis Swikard and the team at Boulud Sud are throwing a final celebratory black truffle-centric four-course wine-pairing dinner. It's happening tonight, with dishes like warm Peekytoe crab fondue with sea urchin; artichoke-potato ravioli with brown butter and crispy sunchoke; and beef tenderloin with seared foie gras on the menu. Check out all the truffle-laden dishes on offer here and snag seats while you still can.